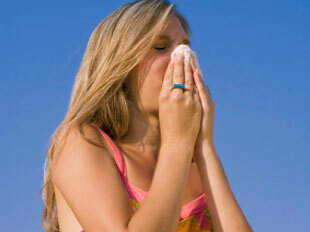 Asthma And Allergies | Your Health. Your Lifestyle. 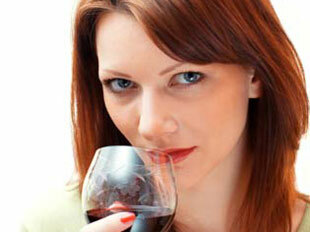 A drink: Studies indicate the histamines in alcohol can set off sniffles, especially in women. Swedish researchers found that allergies were worse in participants after they’d had a drink, while a Danish study concluded that 2 a day increased risk of developing nonseasonal allergies by 78%. If symptoms are acting up, scale back. Houseplants: Pollen from outdoor blossoms and weeds may be the primary cause of your hay fever, but few people know that indoor plants can prompt symptoms. If you’re prone to itchy eyes during spring and fall, consider removing them — especially ficus, orchid, fern, yucca, palm, and ivy varieties, which research suggests have a higher irritation factor. Stress: Big exam? Deadline at work? Family drama? Stress doesn’t just raise your blood pressure and lower your immunity, it can spike sneezes. A study out of Ohio State University College of Medicine found that stress hormones kick up IgE levels — the blood protein responsible for your body’s allergic response. Treat your allergies like you would an illness — rest, reduce tension, and relax. As summer transitions to fall, 2 abundant allergens will return: ragweed and mold. Those allergic to ragweed may experience hay fever symptoms including eye irritation, runny nose, puffy eyes, sneezing, and itchy nose and throat. Check the pollen count in your area daily. If asthma attacks are frequent, in spite of a diligent search for causative factors, and the first-line treatments are not adequate, management of the condition is much more difficult. The strongest anti-inflammatory drugs are cortisone derivatives. A short of adrenaline is the rescue medicine that works quickly, while oral cortisone derivatives are part of more long-term treatment. Because of serious side effects from long-term use, parents and doctors need to work closely together to make this adjunct of management as short-term as possible. Room air filters that siphon out particulate matter (dust, pollens, molds) are available. If the house has forced-air heat, there are electric precipitators that can be installed into the heating unit. Particles are “charge” as they pass through, then precipitate on plates of the opposite charge; the plates can be removed and cleaned. If these measures fail to provide good control, desensitizing through the services of an allergist should be considered. Often, all allergist can work together with your personal doctor to avoid the confusion of not knowing whom to call when questions arise. The subtle deterioration of the American diet over the past several decades is evidenced by the increase in the incidence of asthma, as well as its severity. The inflammation pathway is augmented by a marked decreased in the intake of antioxidants. Potent antioxidants found in vegetables and fruits are not as much a part of today’s diet as they should be. Vitamin C is said to be the major respiratory antioxidant, and those with low levels have a five-fold increase in asthma incidence. Vitamin E is also strongly correlated with lung function, and vitamin A has a strong influence on the health of cells that make up the respiratory tree lining. So, find the best acceptable diet available after eliminating sensitizing foods. Be sure to think of the substitute food or as a supplement (for example, the calcium of cow’s milk). Supplements of vitamins A, C, E and D should be added to the vegetable- and fruit-rich basic diet at the earliest age possible. Levels of selenium-glutathione peroxidase, a strong antioxidant enzyme made in the body, can be enhanced by providing additional selenium. The mineral selenium also prevents stress-induced damage to immune cells. If the child is not sensitive to fish, fish oil and its content of omega-3 fatty acids can provide relief from the inflammatory aspects of asthma. The huge capsules can be picked at both ends and the contents squeezed into a non-allergic juice – one or two a day, depending on the size of the child. We have dealt with allergy problems by putting them into separate “signs and symptoms” categories, according to the area affected. Histamine release is responsible for swelling of membranes, excessive amounts of mucus, and itching – all very annoying. Of greater concern are the more serious conditions that can arise from immune system-mediated reactions: asthma, angioneurotic edema, and severe gastrointestinal symptoms. In addition to identifying and eliminating all proven allergens, we should boost immune system function. More attention is being given to the inflammatory aspects of asthma and how, in infancy, the immune system can be influenced to follow the allergy route or the better pathway that defends against infection. More allergists are broadening their views and considering the part that food allergens and early, moderate exposure to an environment that is other than sterile might play. Old standards of thinking are falling, and better methods of diagnosis and treatment are slowly evolving. Safe methods, such as large doses of vitamin C, along with the other vitamin supplement boosters, certainly should be “first line” treatments. As you find your child’s optimal and therapeutic amount of vitamin C, you will be able to phase out medical treatment. But don’t do this abruptly, especially if on a medical regimen for severe asthma. Stop smoking – Smoking around asthmatics should be considered assault, and smoking around children should be seen as child abuse. Smoking, or simply breathing second-hand tobacco smoke, destroys vitamin C. Do not allow asthmatics near smokers, and this goes double for children. It will not surprise anyone to learn that many scientific studies confirm he link between children’s exposure to tobacco smoke and increased incidence of asthma. Cigarette smoke causes asthma even before the child is born. Total avoidance of second-hand smoke is a given for asthma management. Reduce stress – Stress reduction greatly helps asthmatics, reducing airway resistance and decreasing the severity of symptoms. 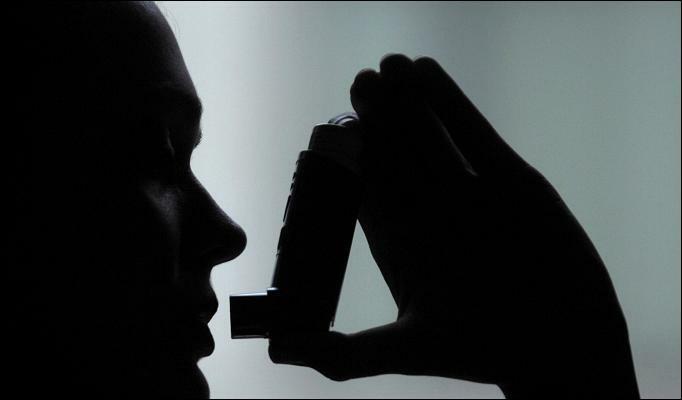 Some research has reported profound improvement and a decreasing need for anti-asthmatic drugs. Straighten your spine, and keep your back in line – This may mean regular visits to a good chiropractor or it may mean yoga, regular exercise, and stretches every day. Although still controversial in medical circles, these simple measures may provide noticeable relief for asthma. The chiropractic profession has published a considerable number of preliminary studies and case reports suggesting that spinal manipulation benefits asthmatics. Great stress is put on the abdominal and lower back muscles when trying to squeeze out the air during an attack. Strengthening them is good. Eat horseradish and cayenne pepper, and drink plenty of water. Take homeopathic medicines – Take a look into homeopathic remedies for asthma is worth your time. 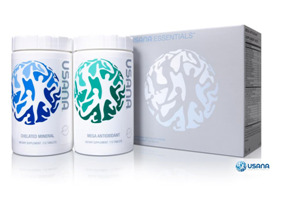 There are a number of nonprescription, combination homeopathic remedies on the market. One might look into Aconitum napthallus (aconite), a microdilution of the monkshood herb. It is good first aid for an asthma attack. However, your taking lots of vitamin C may eliminate your need for even this natural remedy. Try deep breathing – When a child is old enough to understand the basics of asthma, he or she should be reminded that the inhaler works best when used at the first sign of a “tight” chest or “dry” cough. When not wheezing, deep breathing should be done several times a day. This increases lung capacity and raises the threshold for bronchospasm. “Deep” breathing is abdominal breathing. Pull that diaphragm down as far as it will go while watching the abdomen swell. (Expanding the chest is not effective). On the exhale phase, squeeze every last bit of air out of the lungs. Do six “in-and-outs” a session. At the beginning of an attack, deep breathing may abort it. Still, reach for the vitamin C.
Wheezing is a squeaking, musical sound produced when breathing out, and it is associated with difficult breathing. 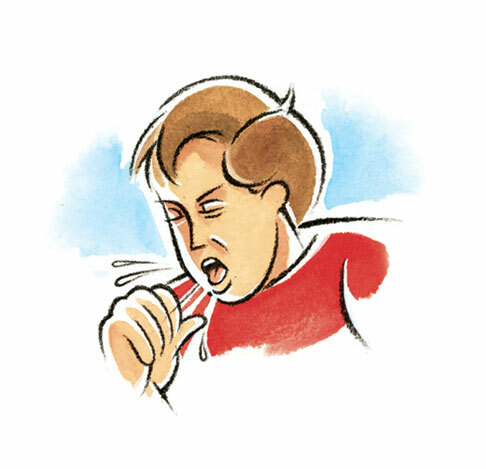 Breathing out is more laborious than breathing in, and often there is a “dry”, unrelenting cough with wheezing. The noise, irregular in-and-out breathing, and dry (non-productive) cough are all due to bronchospasm. There is smooth muscle around the branches of the bronchi that is responsive to both the direct effect of inflammation from allergens or infectious agents and the nerve supply. Under the control of nerves from the sympathetic (autonomic) nervous system, the ring-like muscles can either contract to constrict the bronchus or relax to relieve the constriction. When constricted, air movement is difficult. On inspiration, the diaphragm creates a vacuum in the chest cavity that, if strong enough, allows air to flow in even when there is partial obstruction. Expiration is a more passive event. The diaphragm “pulls” but has little “push”. With severe restriction, the muscles of the rib cage are brought into play to try to squeeze air out of the lungs – a very inefficient and exhausting help. This creates the jerky respiratory pattern of inspiration being faster than expiration. Bronchial constriction makes it difficult for bronchial secretions to be coughed up, leading to the ineffectual dry cough. As liquids are absorbed from the secretions, they become sticky with almost the consistency of glue. No doctor or parent is anything other than uncomfortable when observing an infant or child having trouble with breathing. 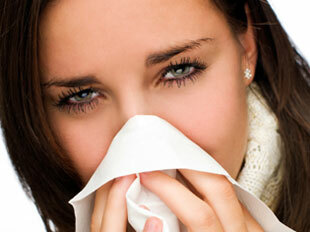 Nasal allergy may seem like just an annoying problem, but wheezing needs immediate attention. We are using the term asthma here for simplification. One is not said to have asthma unless there is some sense of chronicity to periods of bronchoconstriction and respiratory distress. Asthma may be due to a number of factors: allergies, exercise, irritants in the air, infectious causes of inflammation, or there may be an emotional, stressful component. Wheezing in an infant or toddler poses a problem I diagnosis – namely, separating allergy from a viral infection. Every year, we have a round of respiratory syncytial virus (RSV), which presents as a flu-like illness with sinusitis in older children and adults (sometimes accompanied by a bloody nasal discharge and “raw”, burning nose and sinus membranes) that is dismissed as “just another bad bug”. Once had, partial immunity is afforded for the next year. Unfortunately, a newborn caught in an epidemic, with first-time exposure, can get seriously ill from bronchiolitis, inflammation of the small branches of the bronchial tree in which there are no muscles around them that might respond to bronchodilating medicines. RSV infection seems to make these infants prone in subsequent seasons to other virus-induced wheezing. There are many viral infections that play a part in bronchoconstriction in susceptible individuals. This type of asthma can usually be managed well with a medicine to relieve (dilate) the constricted bronchi. An infant or child with the appearance of asthma who is having real trouble breathing needs immediate medical attention, both for accurate diagnosis and treatment. Detective work to identify all possible “triggers” is the first, essential step. Determine what is the most appropriate type of bronchodilator to have on hand. An older child may be able to handle an inhaler, whereas a younger one would need a liquid, oral preparation. Any of these medicines are most effective when used early on, as soon as the first signs of “tight”, dry cough or other difficulty with air exchange. Finding a dose that is effective without causing jitteriness (one of the main side effects) is reassuring to the patient, the parent, and the doctor. Soothing the uneasiness produced by finding it hard to get a breath as well as that form the anxiety-like effects of the medicine itself requires a calm, reassuring atmosphere. When the child is well is a good time to think about how one stays as calm as possible during an attack. Having success with nipping an attack in the bud is very reassuring. If an attack progresses to the point of real difficulty breathing, massaging the back muscles help, as well as knowing that help is near if relief doesn’t come soon. According to the American Academy of Allergy, Asthma and Immunology, nearly 40 million Americans have allergies. While spring is usually considered the peak season, sufferers can experience attacks any time of year. The most common offenders are pollen and trees (ash, beech, cedar, elm, maple, oak, palm and pine) as well as grasses, weeds, and dust. While it’s hard to completely avoid seasonal substances, you can alleviate some of the symptoms. Stay indoors whenever possible — especially when the pollen count is high (usually in the mornings). Keep outdoor allergens from coming inside. Ward off airborne allergens by shaking your jacket outside, leaving your shoes at the entryway, and washing your hair frequently. Vacuum seal your home. Keep doors and windows shut whenever possible, fill in cracks and areas where pollen can find its way in, and seal all leaks. Install an air purifier. Keep your home and work environment dust free by filtering the air. Watch out for your furry friends. Pollen and dander can get trapped on your pet’s fur and paws. Brush them frequently and keep a basin of water at your doorway to rinse their feet clean.